Tristan turned his face to the wall, and died in grief and despair. When Iseult of Cornwall stepped ashore, the first thing she heard was the funeral bell tolling for Tristan. 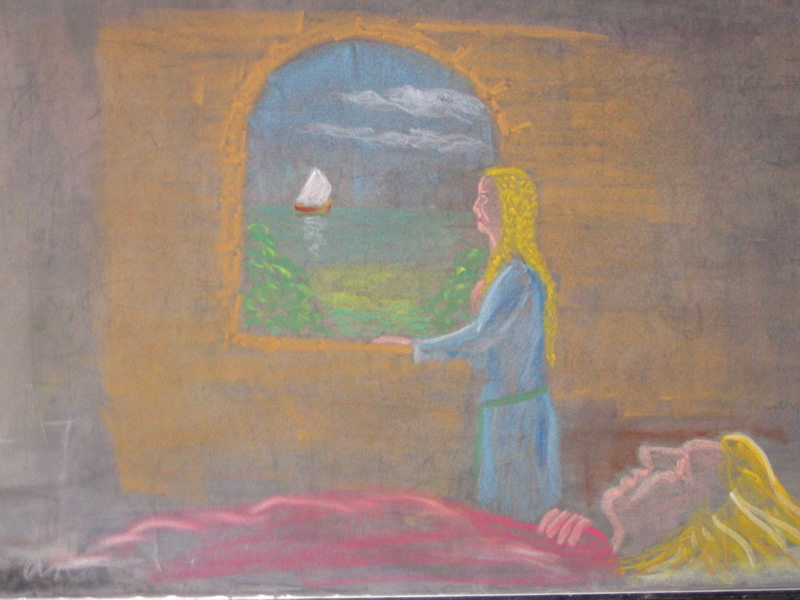 The drawing was done in chalk on a school blackboard, like Tales Round The Fire.